Free Shipping Included! 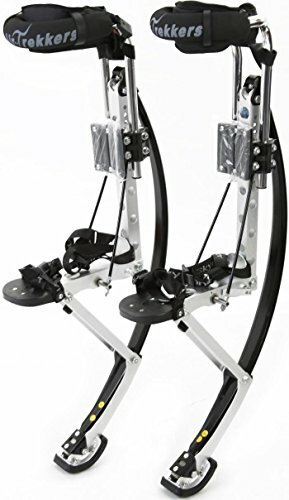 Air-Trekkers Adult Model - Carbon Fiber Spring Jumping Stilts - Large, 210-250 lbs by Air-Trekkers at Scruffs Game. MPN: ADULT-BW-SR001-L. Hurry! Limited time offer. Offer valid only while supplies last.